The startup company co-founded by entrepreneur Christine Su hopes to improve grazing practices while helping ranchers increase their bottom line. Americans like their burgers. In 2016, they ate an average of 55.6 pounds of beef per person, according to the U.S. Department of Agriculture, up from 54 pounds the year before. But beef producers face criticism for their product’s impact on the environment—from land degradation to high greenhouse gas emissions caused by manure storage, feed production, and even the way cattle digest food. 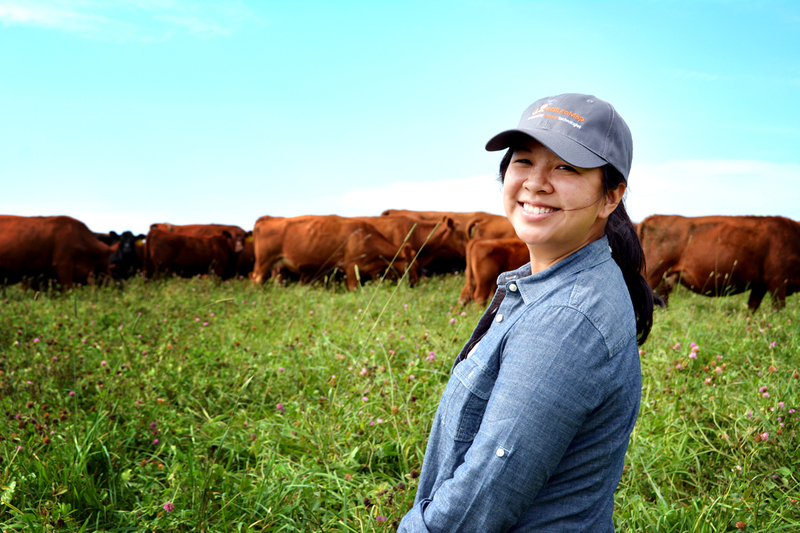 Through her startup PastureMap, entrepreneur Christine Su hopes to improve those practices while helping ranchers increase their bottom line. PastureMap helps ranchers raise climate-friendly beef. The software platform helps them manage their grazing land and strategically graze their herds in a sustainable way. “If you let your cattle run all over the place and continuously graze, they’ll overgraze,” Su says. But strategic grazing can prevent soil erosion, improve soil nutrients, and even reverse emissions by sinking carbon into the soil, she says. This is called regenerative agriculture. “It raises food in a way that heals the land rather than further extracting from and eroding it,” she says. 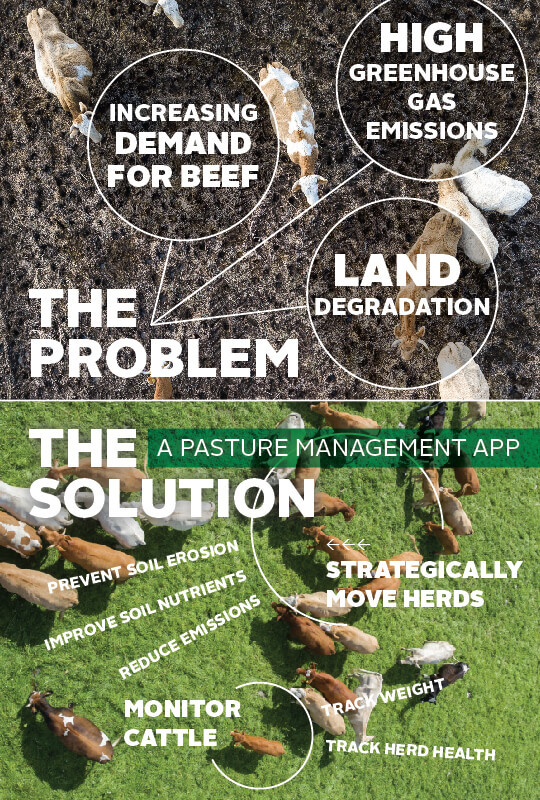 Using PastureMap on their phones, ranchers manage grazing history and planning, keep track of herd information like weights and health issues, document grass and soil health, and keep their whole ranching team informed. The information is stored in one place and is easy to analyze, for short-term decisions like where to graze the herd that day, to long-term decisions like planning out future pastures or placing water tanks and fencing. Su started PastureMap in 2014, and co-founder George Lee joined in 2016. Today it employs 11 people and is used by over 9,000 farmers and ranchers in 40 countries. Financial investors and social impact funders have pumped $3.2 million into the company. Su’s interest in the food chain evolved from her own food allergies, which developed when she was an undergraduate at Stanford University. She sought out farmers markets to find locally raised produce and dairy products that wouldn’t give her hives. There, she began meeting local farmers, and her interest in food production was piqued. After she graduated, Su worked at consulting firm McKinsey & Co., where she worked with large food brands. Later, she worked at private equity giant KKR & Co. as an operations executive. She built supply chain improvement processes and operations software in portfolio companies that were earning $500 million to $2 billion in revenue. She realized that she wanted to use her skills to help farmers improve farm productivity and profits. 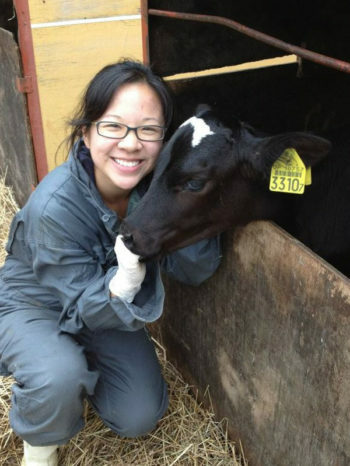 Su started her MBA at Stanford Graduate School of Business in 2012 and spent her summer breaks working on farms. At an internship on a 60-cow dairy farm in Hokkaido, Japan, she milked cows, shoveled manure, baled hay, and helped birth calves. In her spare moments, she conducted a study measuring how fast the farmhands could milk, and drew a diagram of where to place the milking tools to speed up those times. “I couldn’t help myself,” she says of her passion for improving on-farm processes. Her in-the-field learning did not end there. She spent a summer working at organics giant Earthbound Farm in California’s Salinas Valley, known as the “Salad Bowl of the World” for its prolific lettuce production. At Mountain Hazelnuts in Bhutan, she learned the challenges of subsistence farming, and built an operations data tracking system for 150 field agents in the Himalayas to monitor tree health using mobile phones. And at the New Zealand Merino Co., she spent a summer interviewing high country merino wool shepherds about their grazing practices and measuring pasture quality data with field scientists. “I kept noticing as I worked on more and more farms that these farmers keep all their records on paper,” Su says. “I would go into barns and see a chart on the walls. They run their whole lives on paper.” The record-keeping, she says, was cumbersome and often ignored, and the data wasn’t digitized in a way that could help the farmers derive the full value of their records. Lydia Carpenter of Luna Field Farm in Manitoba is a next generation farmer selling regenerative meat to conscious consumers. Photo courtesy of Pasturemap. She talked to 3,000 farmers and ranchers in person, and designed her own additional MS degree on sustainable grazing systems in the Stanford School of Earth, Energy & Environmental Sciences to teach herself more about grassland management. During this time, she put into practice Steve Blank’s well-known lean startup method—find a problem, develop a minimally viable solution, and immediately get customer feedback—to mock up some wireframes on the image of a phone. She printed out fliers and went to Columbia, Missouri, to a grazing conference and showed her prototype to ranchers. The MBA graduate stood out among the ranchers. But her biggest challenge was learning the nuances of agriculture: the various types of farmers and their varied needs. 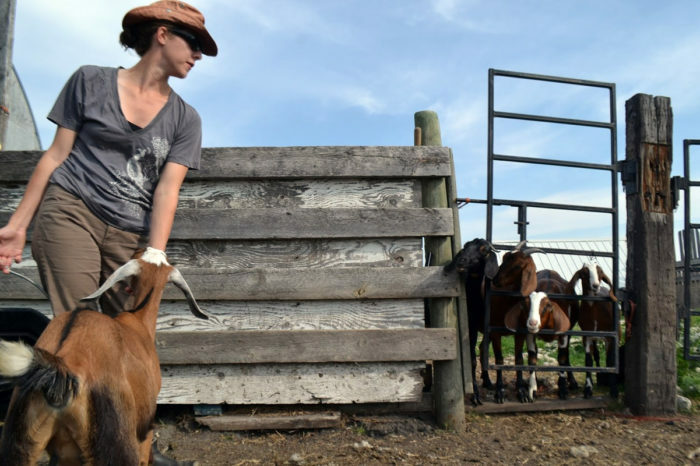 “There are a million farmers in the United States, and they’re incredibly diverse,” she says. Some are tech curious, some just want to save time. Some might never use a tablet computer, but are interested in handing down a sustainable operation to the next generation. Their knowledge has helped her continue to iterate her product. Since those wireframes, the company has overhauled the platform three times based on conversations with customers, refocusing from graphs and charts to displaying more visual interfaces, such as offline maps that ranchers can carry with them into the field. As it grows, PastureMap is focusing more on helping ranchers make money off their regenerative practices. “We are working with ranching cooperatives and beef brands now to help them monetize some of the data, not just for them getting more efficient on their own land base, but also being able to communicate that to the customer,” Su says. For consumers, it could mean a label on the beef, indicating that because of how the animal was raised, it is more climate and environmentally friendly than the competitor on the shelf. It could also be digital. PastureMap is building an online map for consumers to find regenerative, climate-friendly ranchers—and for those ranchers to find each other. This piece was originally published by Stanford Graduate School of Business on Insights by Stanford Business. Whoa. Impressive all around, as one might expect from a Stanford alumna (x2)! As the granddaughter of a dairy farmer, I declare this effort outstanding! Thanks for the engaging reporting. Used to see in Television about burger consumption in US. Amazing it is. Great solution for Meat demand and land issue. - Thanks!